In our culture of rampant consumerism and endless exposure to advertising, one may question its connection to who we are as individuals in a society. Consumerism is an ever-changing medium that connects us to what we desire. If that desire—which is often externally created—is not met, despair occurs. 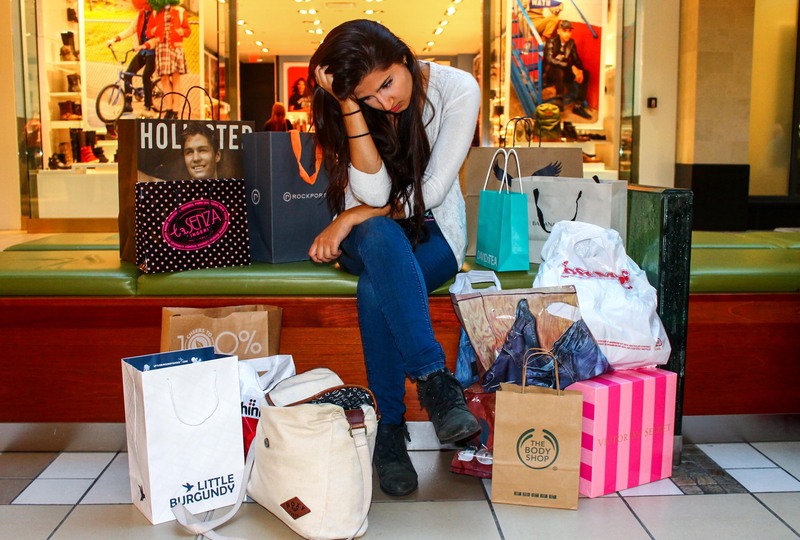 It makes you wonder: is there a causal relationship between materialistic desire and low self-esteem? The desire to consume causes one to feel despair when the desire is not met. Low self-esteem can cause one to cling on to materialism in hopes of gaining self-assurance through consumerism. After all, we’ll be more loved and respected if we have a nice car, designer shoes and fancy home, right? In Itivuttaka, the Buddha was asked, “What is the root of all suffering?” to which he responded, “Desire.” He categorized this desire into three main conditions: greed, hatred and delusion. Greed causes desire, desire causes despair, despair causes self-hatred, and self-hatred results in delusion to satisfy the insecurity. Delusion to satisfy insecurity or identity loss can take many different forms, one being the man-in-the-suit scenario. A man in a suit is the representative what a man should be if he is an active player in the world of consumerism. This can manifest as an average man taking on debt to buy an expensive engagement ring, because he believes a good partner should be able to afford such things. Correspondingly, consumerism can cause a woman to desire a large engagement ring in order to fulfill the expectation that her fiancé sets for her. He wants to be the man in the suit and she wants to be the ideal candidate for the man in the suit. Neither of them are those people, but neither of them are willing to ruin that delusion because it would mean facing the insecurities they’ve acquired—and that cannot be done through materialistic tendencies. The more your identity and self-worth slip through your fingertips, the more desperately you try to cling on to material things, all the while knowing that things do not deeply satisfy anything within you that would lead to an increase in self-esteem. There are many ways to increase self-esteem and strengthen identity through lasting positive mechanisms. A powerful way to gain self-esteem is to create thoughts of gratitude, love and self-acceptance. Many find this challenging, especially when feeling lost and confused, but it helps to think of oneself from an observational standpoint. Acknowledge yourself as a human being both imperfect and truly beautiful. Forgive yourself and accept that we cannot live a life void of mistakes. Mistakes are blessings that inspire choice and learning. Another strong way to increase self-esteem is to perform activities that boost your life satisfaction and increase your pride and sense of accomplishment. It could mean picking up a paintbrush, gaining a degree, or learning a martial art. Whatever contributes to a more beautiful version of your world is where happiness lies, not in the desire to collect things you won’t care about a week from now.